It is that time of the year, time for corn! 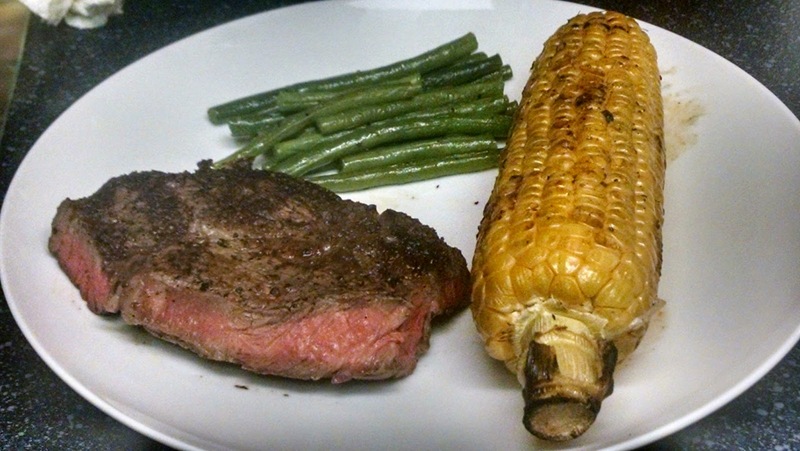 Like so many things, corn is super versatile and can be a star in any dish. Of all the variations on how to cook corn I wanted to talk about grilled corn. Grilling corn looks awesome and provides an amazing, complex flavor that is a great compliment for any meal. Who doesn’t love perfectly charred, smokey sweet kernels of corn that pop in your mouth when you bite in? Oh, did I mention that we are putting the corn straight on the grill with the husk removed? Yes, this isn’t your Mama’s grilled corn after all. I think this picture speaks for itself. Remove the corn from its husks. 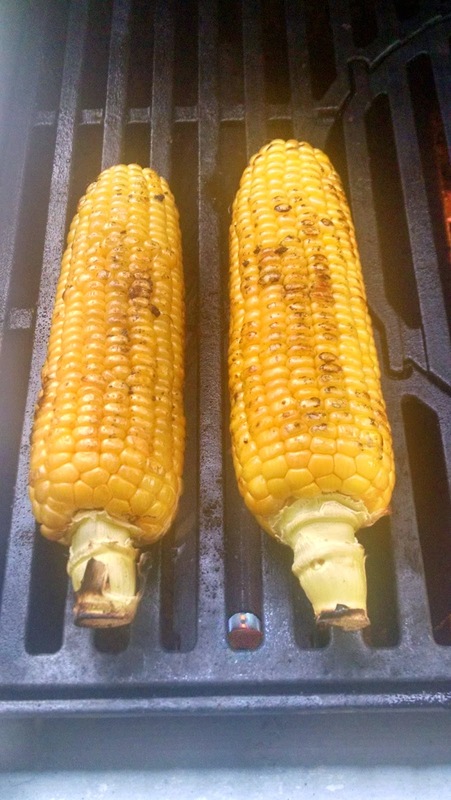 Place corn on the grill with no oil or seasoning (we will fix this later) on medium to medium high heat. Allow the corn to get some char and color then rotate about a1/4 turn. Once you have charred all sides (about 4 quarter turns) you will be ready to move on. Make a seasoning packet out of foil with enough space in the foil pouch to place the corn inside. You could use salt, pepper, butter, olive oil, paprika, a little chili pepper (if you want), and a little bit of brown sugar. Place the charred corn in this packet and wrap it up tight. setting it aside for 10 minutes or so. You are actually finishing the corn by steaming it in the foil packet with the seasoning. As you are ready to serve, roll the corn in the melted seasoning mix until it is coated to make sure it has plenty of flavor. Here is what you should achieve after about 15 minutes. May take a little longer depending on your grill and how much heat has been lost by checking on the corn. That is it. You are done making some amazing corn! This will be a recipe you go to again and again. 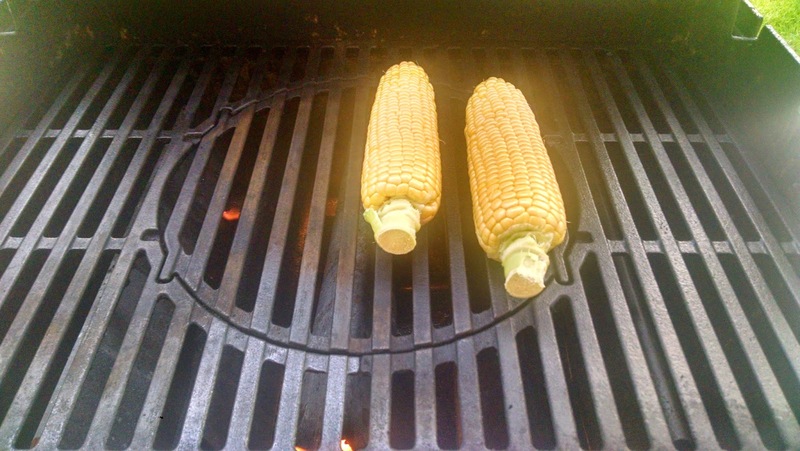 How do you know the corn is ready to be pulled off the gril and wrapped in foil? The kernels will start to separate from each other a little bit and that is your clue it is time to wrap the corn in foil. Be sure not to cook the corn too long after you see the kernels pull away or you will have mushy corn and that could be your Mama’s corn. Okay, I hope you enjoy and soon we will be on to our next…….did you really think I would leave you without a finished plate? If so, well then congratulations you have earned yourself more photos. If not, well, take better notes as home cooks can be creatures of habit, but I digress. This photos is because, well, I enjoy a good steak. 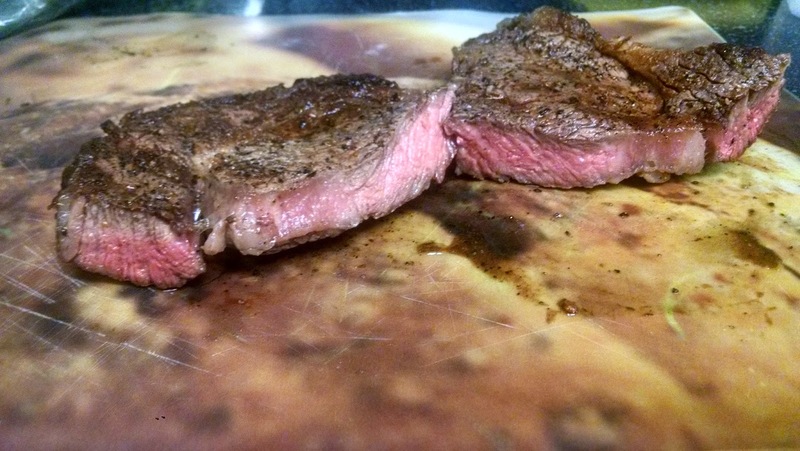 Want a refresher on cooking steak essentials? Review the “Party on The Barbie” blog post. Here is a finished plate. Now I am done. 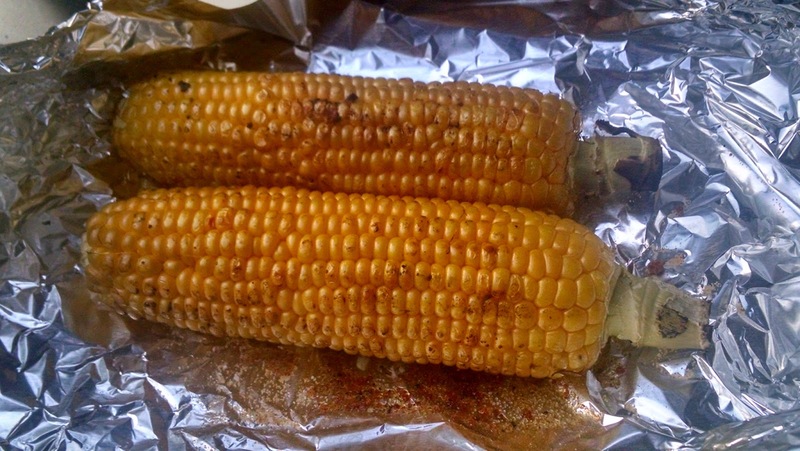 Oh, just one last thing, I am going to show you how to take this roasted corn to another level in a future post.